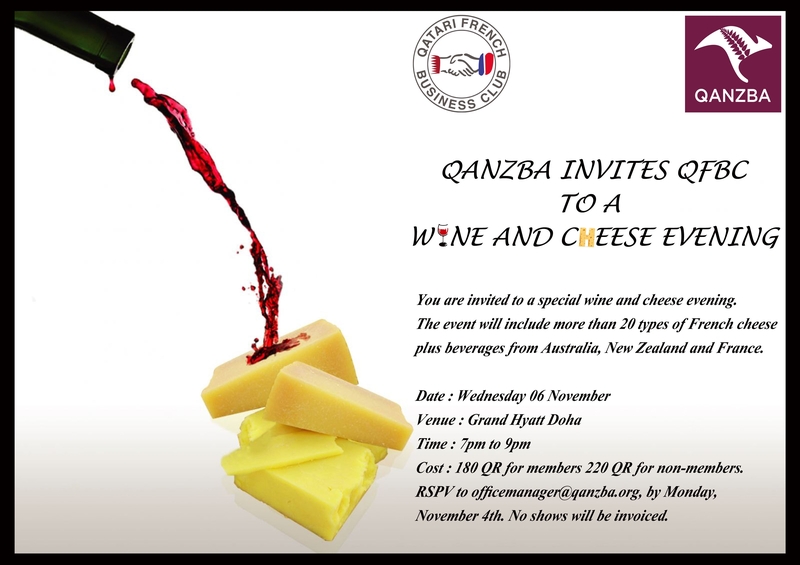 Each year the Qatar Australia and NZ Business Association (of which I am a member – just to lay my cards on table) hosts a wine and cheese night in conjunction with the French Business Club. Imagine – three great countries all with a love of wine and cheese. Throw in 20 different types of cheeses, a selection of wines from all three countries and of course, our compatriots, and we have a great night. For those in Doha or visiting next week, it’s on 6 November at Grand Hyatt Doha from 7pm.